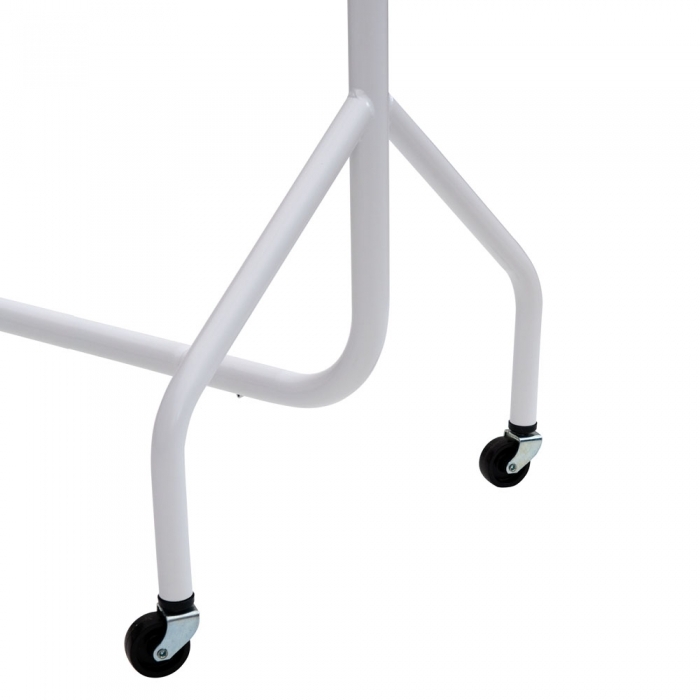 Highest quality produced clothes rail to industry standard. British made from UK Steel (This is not a cheap import item). This item is built to last! Garment rail in a white matt finish. Ideal for exhibitions, retail display also used for as domestic use for those who need additional storage for their garments. 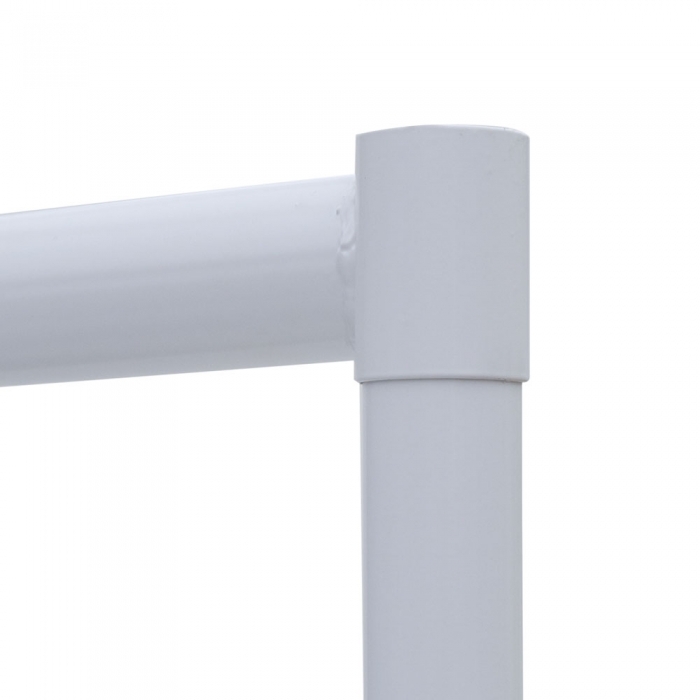 With a standard height of 60” and cross bar length of 3 foot, this is the smallest rail in our range. 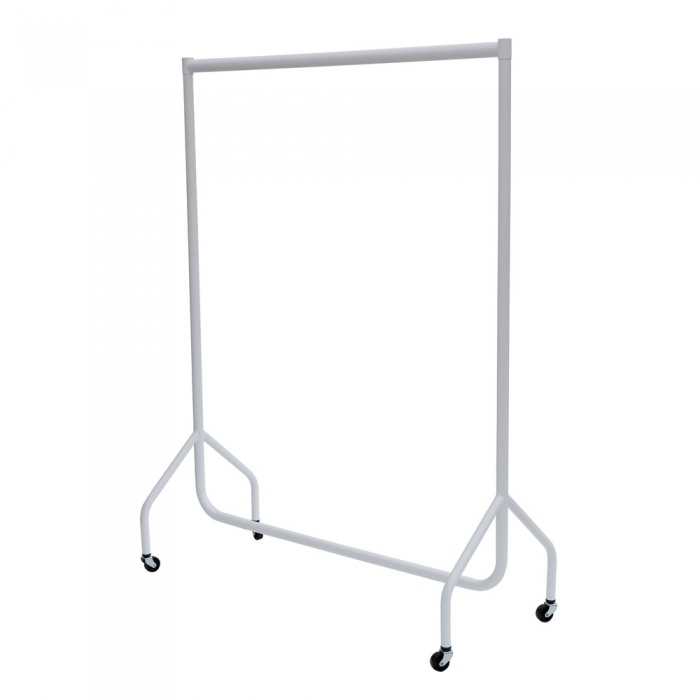 Designed to fit into small spaces and be easy to move, the clothes rail has 2” plastic castors to aide in moving. This unit comes in 4 sections, a pair of sides, a top bar and a bottom bar. The set up is very simple and you will be up and running very quick. Stocked in 3ft, 4ft, 5ft and 6ft lengths. Accessories available including centre bars, height extensions, width extension bar and rubber castors. Please allow around 7-10 working days for delivery.